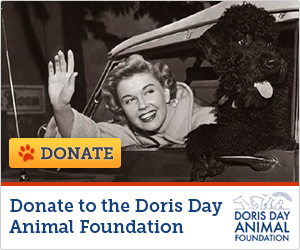 All time honors are nothing new to Doris Day. She has retained the title as Biggest female box office draw of all time and is #6 among all actors on the Quigley list. "America's #1 Girl Next Door" and "Queen of the 50's Jukebox" are two others. There are many more. One of those significant others has to do with the many albums she recorded in her tenure with Columbia Records. In one year (1955) she had the #1 Selling Album for the year, one that charted for 27 weeks on the Hit Parade, and became one of the longest charting albums for any female in the 1950's. In fact, she holds the title as Most Popular Female Album Artist of the 1950's and the highest paid Columbia Contract singer. "Love Me or Leave Me", the soundtrack album from the hit movie, is that significant album. It is also one of the longest selling albums by any female artist in music history and is still a good listen! If the question is asked today: "How many albums did Doris Day record? ", the answer "depends". If we mean how many albums contain her music, there are almost too many to count. Songs by Doris have appeared on countless collections over the years and continue to be a part of new ones coming out on a regular basis. If we mean how many albums are restricted to the music of Doris, the answer again "depends". There are hundreds and hundreds of compilations of her music all over the world, and these continue to be released every year. If we mean, how many albums by Doris were released by Columbia Records of Doris' music since 1948, once again the answer "depends". Columbia has released several compilations of her music over the years that had no newly recorded material by Doris. In 1958, it was "Doris Day's Greatest Hits"; In 1960, it was "Listen To Day" (but that one did include 4 songs previously unreleased). As late as 2013, Columbia/Sony released two more compilations of Doris Music: "The Ultimate Collection" and a two-CD set entitled "With A Smile and A Song" (not to be confused with an earlier "studio" album of the same name.) There was also The Complete Christmas Collection released in 2012, which supposedly contains every Holiday Song ever recorded by Doris. "A studio album is an album of audio recordings made up of tracks recorded in a recording studio. A studio album contains newly written and recorded or previously unreleased or remixed material, distinguishing itself from a compilation or reissue album of previously recorded material, or live recording made at a performance venue. A studio album is usually planned and scheduled in advance, and may take anywhere from a few days to more than a year to complete. Some studio albums may include one or more covers, occasionally as live tracks within the studio album. Studio albums may also feature guest performers or session musicians that would not usually perform live with the artist. A studio album may also be released or re-released years after it has been recorded, or even posthumously, containing material recorded before the death of the artist." 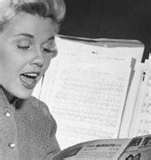 And so the answer is 31 studio recordings featuring newly recorded music by Doris Day (NOT including anything she recorded with Les Brown before 1948). Click on the video below to see the studio recordings. Doris on her 1986 cable series, "Best Friends". The best news is that most, if not all, of Doris Day's albums are available on cd today, and most of them are on a double cd featuring two albums (or more) for the price of one...a real bargain for all DD fans. Most can be purchased online as well as through our very own songsandmemories.com music store. 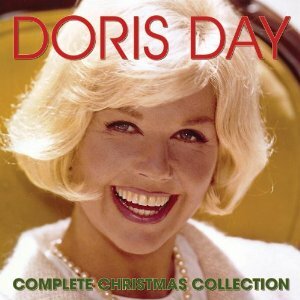 Featured above was a Christmas 2012 release by Doris.